Posted June 25th, 2013 by David Porter & filed under Hot Topics, Social, Technology. 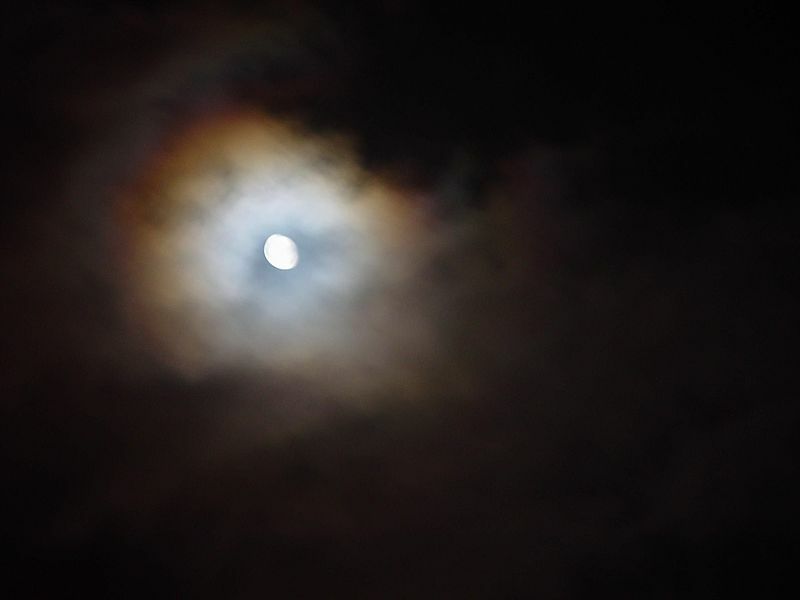 The Moon Through Cloud: Indicative of Future Cloud Technology? Every so often a cluster of issues, each wrapped in a fog of jargon and misconceptions, waft around the constant debate about how we live and work in this digital, technology-driven age of data and information. Everybody knows what the cloud is, how to jump on it and what it means for the future. Well at least, everyone has to give the impression of being at ease with it. Most of our readers are tech-savvy experts in this brave new world of technology, but a few are lay people, sometime looking for a guide in simpler language. MBF Blogs seeks to clear some of the confusions and invites you to chip in with thoughts and ideas of your own. Q: I hear talk about virtualisation services at present, just what are they and do I need them? A: Basically, it is new from old. It’s really better called ‘virtualisation conversion’. You go from a traditional server set up with one operating system per server into a virtual one. It makes long term economic sense, upgrades old hardware easily, reduces costs with fewer servers and improves speeds. Q: So our company should make some tangible gains? A: Should do. The hardware is independent, when a server fails, it can be put to a totally different one, in effect, at once. A single bit of hardware will run more than one server. Q: What do they do exactly to implement it? A: They take your old, tired server and/or computer, convert it to a virtual model and put it back on new hardware. It appears as if nothing has changed, it’s just become virtual. You just keep on working away, with a better environment. Q: Why do they say it’s a step to the cloud? A: You can run virtual systems from anywhere on earth. If power fails or workers are scattered, you can move your systems into a cloud hosting system, where everything is secure, secure and easily retrievable. You can run and test different ‘environments or scenarios to experiment, expand and develop new business. Q: So, the cloud is inevitable is it? A: Most people say so. Inevitable and essential, given the way data grows exponentially and shifting it about without being compromised is becoming the essential of contemporary life. Q: If everybody is on a cloud, everything is hunky dory, yes? Q: So, it’s a bit like WWW2 and WWW3, you can have lots of systems functions separate from each other, despite this being an era of linking everything? A: Yes, to a degree. And if there is WWW2 (large, private, discrete webs owned by large, private companies) or a WWW3 (large, discrete, secret organisations operating in the third sector, like MI6, the FBI, Mossad and so on), nobody is owning up to that! You should keep a neutral mind on that one. Q: Has this got anything to do with net neutrality we hear a lot about? A: Different buzz words. This is any sort of limitation that may be applied to broadband connections by internet service providers (ISPs). If your connection is ‘net neutral’ it faces no limitations, such as websites that can be visited or levels of hardware that be added. Q: But I thought the whole basis of the internet was that it is about breaking down barriers and opening up access for all? A: You’re right. Of course, in China, the government is attempting to censor the whole population’s access to the open web, which is part of the whole debate everyone is having about how far can net searching, web communication and the data involved be kept private in an age of terrorism and criminal activity fed by the www. Q: OK to filter out crims, but should it apply to everything else? A: That’s the debate. It is suggested that some ISPs might (or do) filter out advertisers they have not signed up to, references to competitors or sites they just do not approve of. The Electronic Frontier Foundation (EFF) have released a tool called ‘Switzerland’ which allows users to find out if their own network is neutral or not. But remember, some people like it if not everything is openly available to all. Q: Well my business gets all it needs from the web, neutral or not. We’re going to the cloud, so all is well, yes? A: Maybe. Pat Gelsinger sees the current wave of change caused by cloud technology as as disruptive as the mainframe era or the internet itself. Companies that are heavily tied to today’s environment (whatever business they are in cannot easily move to any cloud model, so as the cloud grows and mutates, such businesses will struggle to adapt enough to outrun their faster, leaner, more adaptable competitors. Need more info on related blogs?